Hurricanes are caused by immense low pressured formed over the warm oceans in the summer and early fall months. With this low pressure, water vapor is evaporated off of the ocean surface. This water vapor releases the latent heat of condensation which causes all of the water to begin forming into clouds. This condensation forms warmth around the surrounding air. Typically, a wind shear (change in wind speed or direction) causes the top of the tropical storm to blow off and destroys the fledgling hurricane. However, if there is a very weak wind shear or no wind shear at all, there is nothing to keep the tropical storm from developing. Because the warm water and water vapor is the fuel for a hurricane, as it travels across the ocean, it can continue to build. When the wind shear doesn’t knock the tropical storm away, the continuous rise in heat causes even more low pressure to appear. This increased low pressure causes winds to push towards the center which is where the “eye of the storm” comes from. The winds start a spiral action towards the center of the low pressure. As this occurs, more water vapor is evaporated which adds to the heat which lowers the pressure resulting in even more storms in the hurricane. Hurricanes in different parts of the world form at different times of the year. Often, these hurricane seasons correspond to the months in which all of the factors listed above can be met. 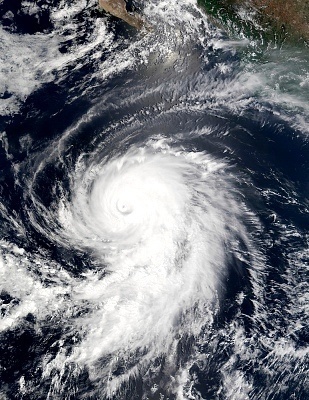 For the Northwest Pacific for example, the season in which hurricanes can form is between April and January. The South Indian Ocean will produce storms during the months between October and May. The hurricane season for the Northeast Pacific occurs between May and November, while the North Atlantic will experience storms between June and November. Finally, the Australian Southwest Pacific body of water will experience the greatest number of storms between October and May, while the North Indian Ocean will produce some of its largest storms between April and December. 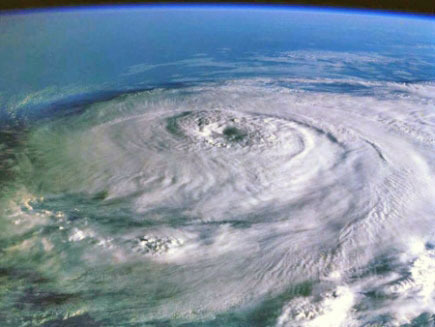 Our understanding of the formation of hurricanes and other tropical storms is still expanding. There are a variety of theories in circulation about how hurricanes form, but there is no definite answer at this point in time. Thanks to a variety of research projects, scientists have been able to isolate six factors which appear to be the necessary conditions required for the formation of any tropical storm. There are some tropical storms that can gain strength without meeting each of these six factors. 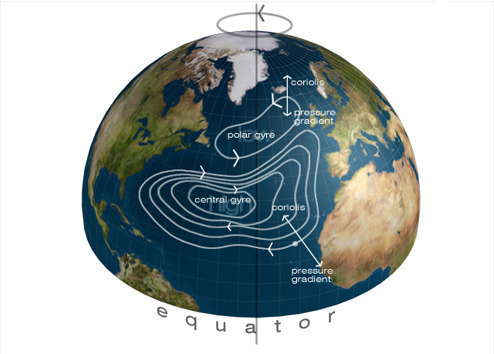 To begin with, the formation of a hurricane must begin with a regional water temperature of eighty degrees Fahrenheit or more (26.5 degrees Centigrade). The depth of this warm water must reach to at least 150 feet or 50 meters. This combination of warm water and relatively shallow depth causes the atmosphere in the area to become unstable enough to create and sustain thunderstorm and convection activity, the two major portions of a hurricane. As the hurricane’s clouds begin to rise, they undergo rapid cooling. 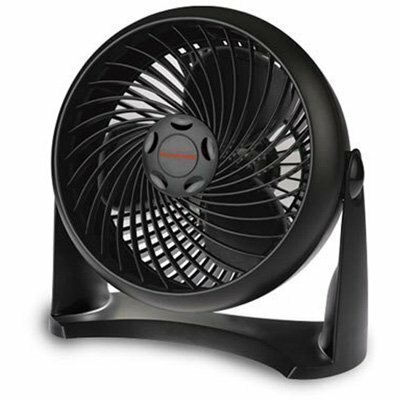 This rapid cooling is a requirement to release any pent up heat that may have been retained from the warm ocean water below, giving the hurricane or tropical storm a massive amount of energy. Higher humidity levels are also a requirement of a sustained hurricane, as the hurricane needs to keep developing its cloud formation and its raw power. In order for a hurricane to keep its cyclonic activity at maximum, low amounts of wind shear are required. If the levels of wind shear are too high, the hurricane or cyclone will lose its convection and stop its characteristic rotational configuration. The two final factors in the formation of a tropical storm or hurricane are related to its location on the earth. Nearly all hurricanes need to develop at around five degrees from the equator in order to cause a circulation around the eye of the storm due to the Coriolis force. Lastly, a very powerful hurricane can only form if there is already some kind of atmospheric disturbance in the area around the site of its formation. Category 1: Between 75 and 95 mph. There is minimal damage to trees at this stage. Category 2: Between 96 and 110 mph. There is damage done to mobile homes, poorly constructed buildings, and some trees knocked down. Category 3: Between 111 mph and 130 mph: There is more extensive damage done to small buildings, mobile homes are completely destroyed, and larger trees are knocked down. Category 4: Between 131 and 155 mph: There is considerable damage to the outter walls of buildings, roof failure in small buildings, and destruction on anything not firmly constructed. Category 5: >155 mph: When a hurricane reaches this, there is damage done to most places, window damage, and considerable failure to most utilities, if not all of them. Once a hurricane touches ground, though, it begins to lose power because it no longer has the water vapor to fuel it. 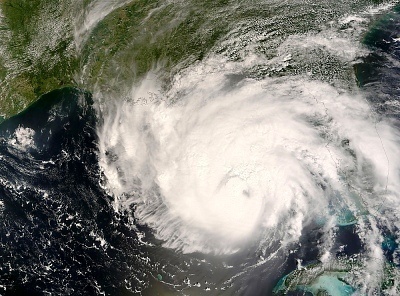 Hurricane Katrina was a category 5 hurricane; however, once it hit land, it had slowed enough to become a category 4. However, even then, the 155 mph gusts can cause immense damage to areas and knock entire cities out for weeks. 153 queries in 0.262 seconds.